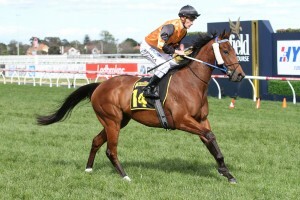 Ladbrokes Tip: The Thousand Guineas Prelude – Thousand Guineas double is a popular spring bet! Held on a Sunday in late September or early October, the same day Sydney hosts the NRL Grand Final, during the Melbourne Spring Racing Carnival at Caulfield Racecourse, the Thousand Guineas Prelude is a Group 2 race open to three-year-old fillies. The set weights plus penalties race, also known as the Tranquil Star Stakes, is one of four Group races at the meeting that is headlined by the Group 1 Sir Rupert Clarke Stakes (1400m) and the Group 1 Underwood Stakes (1800m). The equivalent race for colts and geldings, the Group 3 Ladbrokes Caulfield Guineas Prelude (1400m), also runs on the same card as a lead-up to the Ladbrokes Caulfield Guineas. The Thousand Guineas Prelude is obviously the traditional preparatory run for fillies heading into the Group 1 Thousand Guineas (1600m) back at the track in two weeks. The last filly to complete the Thousand Guineas Prelude – Thousand Guineas double was Irish Lights (2009). The latest edition of the Thousand Guineas Prelude ran on Sunday September 31, 2018. Thousand Guineas Prelude odds are led each spring by in-form fillies coming off good lead-up form in earlier races against similar class. A popular Thousand Guineas Prelude betting option is to back the winner to go on to win the Thousand Guineas, a punt that has paid off a number of times over the years. Fillies that ran well in lead-up races like the Group 2 Danehill Stakes (1200m) at Flemington a fortnight earlier also sit high up the Thousand Guineas Prelude odds online each spring. The latest Thousand Guineas Prelude 2018 betting odds and links to our Caulfield racing markets will be open below as soon as released so stay tuned for the top odds on the Thousand Guineas-bound fillies this spring. Good Thousand Guineas Prelude tips to take to the bookies during the spring include looking for fillies coming off a lead-up win in Melbourne, runners with ability over 1400m and those drawn near the rails at Caulfield. Previous Group 1 performed fillies at the track from the autumn out of races like the Ladbrokes Blue Diamond Stakes also make a good tip in Thousand Guineas Prelude betting each spring. Our Ladbrokes’ insider Thousand Guineas Prelude 2018 betting tips and Group 2 racing picks for the Thousand Guineas lead-up race will be detailed below the week of the race so stay tuned for the fillies to lock-in for the win and to take in Group 1 futures markets on the mile feature next race. The Thousand Guineas Prelude field attracts a line-up of the season’s most promising middle-distance fillies heading towards a run over the mile in the Thousand Guineas. Fillies in the Thousand Guineas Prelude field can come off a number of possible runs including the Group 3 Quezette Stakes (1100m) the month before. In 2015 Miss Gunpowder ran third in the Quezette Stakes before her Prelude win two runs later. Thousand Guineas Prelude winner Legless Veuve (2016) scored an upset win as a $12 shot in betting. Photo Credit: Ultimate Racing Photos. Another lead-up race is the Group 3 HDF McNeil Stakes (1200m), a double last achieved by Lady Of Harrods (2012). The likely next-up option for Thousand Guineas Prelude graduates is the Group 1 Thousand Guineas (1600m). Jameka ran third in the Thousand Guineas Prelude in 2015 before a second to Stay With Me in that year’s Thousand Guineas. She also went on to win the Group 2 Moonee Valley Vase (2040m) and Group 1 Crown Oaks (2500m) that spring. In 2014 the Thousand Guineas Prelude runner-up Amicus won the Thousand Guineas next start, while in 2013 the Prelude winner Gregers finished third in the Group 1 next time out. The previous year (2012) the Prelude runner-up Commanding Jewel ran second in the Group 2 Edward Manifold Stakes (1600m) next start before her Thousand Guineas success. The Thousand Guineas Prelude 2018 Nominations are taken the Monday of race week and the list of early entries will be provided below once announced. The Thousand Guineas Prelude form guide details to punters all the need-to-know information from trainers and jockeys to barriers and lead-up runs. The Thousand Guineas Prelude form has also stacked up in tougher spring races in recent years including the Crown Oaks during the Melbourne Cup Carnival in 2015 when Prelude third-placegetter Jameka won the staying clash at Flemington three runs later. Jameka also won the 2016 Caulfield Cup, further franking the previous season’s Thousand Guineas Prelude form. The Thousand Guineas Prelude results have been dominated by single-figure chances in the past decade, but a number of fillies have managed at upset at double-figures including Lady Of Harrods ($15 in 2012) and Legless Veuve ($12 in 2016). Notable recent Thousand Guineas Prelude winners include Miss Gunpowder (2015), Divorces (2010), Irish Lights (2009), Ortensia (2008) and Miss Finland (2006). The official Thousand Guineas Prelude 2018 results & finishing order will be published below once the race is run and won on Sunday September 31, 2018, the Sunday following Epsom Handicap Day in Sydney on the Saturday.